Yesterday I had the fun task of driving my father to camp. He’s 84 years old, blind in one eye and legally blind in the other. 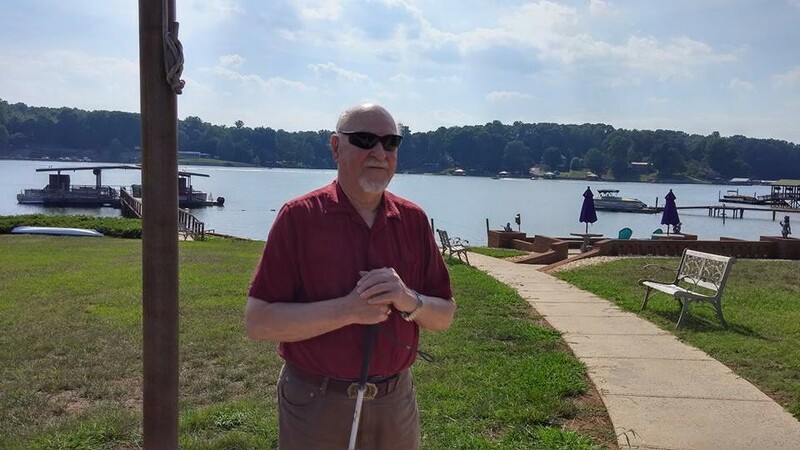 We are blessed, and I do mean blessed, to have the Lions Club in North Carolina who provide week long camps all summer for the visually impaired. Camp Dogwood is located on Lake Norman and is beautiful. For a small fee, the camper can go for a week or even two weeks if there is space. Counselors and volunteers make sure their every need is met. They are taken bowling, shopping, to the petting zoo, out on pontoon boats, play games, make crafts, visit each other, and just have a fantastic time. This is the fourth summer my father has gone and even though his eyesight has steadily decreased, his enjoyment has increased. I am grateful that he can have these little vacations, and I am grateful for organizations that take seriously the mission of positively impacting their community. End of June? NO WAY! What a wonderful camp. Glad your father enjoys going. I had no idea they had such a thing! Thanks for sharing. What a wonderful organization!